Water isn’t actually a food but is definitely the most important aspect needed for quality breastfeeding. Different studies have shown that about 75% of the people are dehydrated. The main problem with breastfeeding mothers is that most of them are busy sometimes, and don’t give too much attention to drinking water and get dehydrated. Breastfeeding mothers should make sure that they are drinking the appropriate amount of nutrients on regular basis. Research has also clarified the importance of water for breastfeeding mothers (1). You don’t need to drink a gallon of water every day, but you need to be adequately hydrated. You should drink about 8 glasses of water or fluids every day. In the early breastfeeding stages, you should have a water bottle next to the nursing area. You might not be thirsty when you sit down but you can get easily overwhelmed with thirst in a few minutes. There isn’t anything as a perfect food but one thing is for sure. Salmon won’t disappoint breastfeeding mothers due to its wide range of beneficial nutrients. It contains a special type of fat known as DHA, which is essential for the baby’s nervous system (6). The breast milk contains DHA but its levels are higher in women who get more DHA from their diets. The DHA in salmon is also quite beneficial for mood because studies have shown that it may help with depression. Fish is a good source of high-quality protein for breastfeeding mothers. Certain fish, when consumed whole, are a good source of calcium. Fatty fish, including salmon, black cod, trout and herring are a good source for delivering DHA, which is an omega 3 fatty acid essential for the development of DHA. However, you should keep in mind that fish contains unhealthy chemicals, like mercury. So you should avoid high mercury content fish, like shark and swordfish and eat fish low in mercury, like salmon, catfish and trout. Mercury can cause harm to the nervous system of the unborn baby. However, fish with lower mercury content has the least risk. The guidelines are about 12 ounces or two servings per week (7). Some fish, like mackerel or swordfish have a higher amount of mercury and should beavoided. The 12 servings per week is just an average. Even eating more salmon per week won’t hurt you at all. Tree nuts have a high amount of protein and are a good source of fiber. Walnuts have a high amount of omega-3 fatty acids in them, almond gives extra calcium and cashew boost the levels of folic acid and iron. Most people worry about the high fat content in nuts, but it is mostly “good” monounsaturated fat. They are quite a convenient food to keep in close contact when a person becomes hungry. The peanut isn’t a true tree nut but a legume, with a different nutritional profile. Eating peanuts during breastfeeding is generally safe for babies. If there isn’t a genetic allergy running in families, it is quite unlikely that peanut proteins through breast milk will cause any significant problems. Avocados, popularly known as alligator pears, are nutritious foods which grow on an evergreen tree known as Persea Americana. 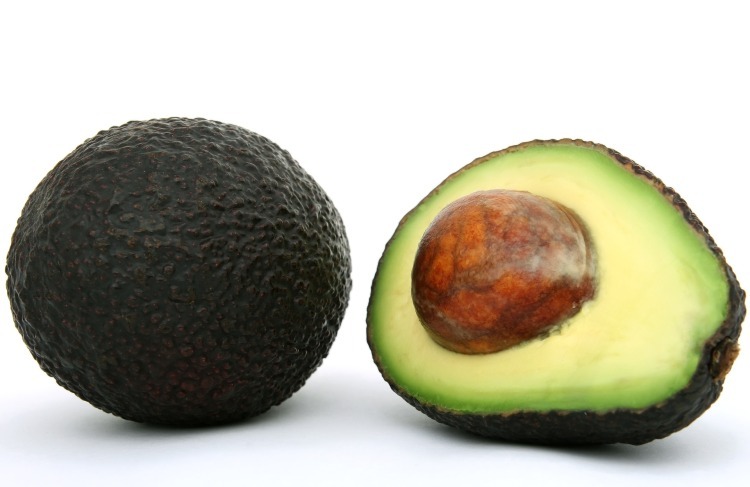 Some of the many benefits of avocados for newborn include helping in the neurological development of the newborn, promoting digestion, treating arthritis and supporting weight management. Avocados are mainly popular as a good breastfeeding food because they are rich in folic acid, vitamin E, potassium and vitamin C (8). Folic acid is quite important during pregnancy and breastfed infants need a lot of folic acid to help in their proper development and growth. They also give a good caloric boost due to their high levels of monounsaturated fats. Legumes are a good source of iron and protein content, for vegan and vegetarian mothers. Beans, lentils, kidneys, black beans and alfalfa are good examples of legumes. As they are also gas inducing foods, they should be used in moderation, especially if the new mom had a C-section recently. Nursing mothers should include legumes in their diet due to the high folate content in them. They are also an important source of zinc, iron and protein (9). They also have high fiber content which is quite essential for breastfeeding mothers. They are a good food and can work with just about any food, like beans, rice, lentils, and hummus. Oats are natural, whole grain and high fiber food. A bowl of oatmeal will keep you full for a long time after breakfast and help to increase the overall milk supply. Oatmeal is also a good source of iron, so eating something high in iron content can increase the overall milk supply in women. i is also a comfort food for women. Anything which increases relaxation can give encouragement to let down and thus increase milk supply. It is also popular for lowering the cholesterol levels of the body. To improve the oatmeal quantity in your diet, breastfeeding mothers should eat about one bowl of hot oatmeal every day. Most moms say that they notice an increase in supply when they eat anything related to oatmeal, like oatmeal cookies. There is also some research that giving oatmeal to breastfeeding females could increase the probiotic content in their milk (10). Every dark green vegetable is a breastfeeding superfood. It includes the Swiss chard and broccoli. They are nutrient dense foods with high calcium content. Calcium makes a breastfeeding mother active and she produces more milk. Spinach is quite effective for breastfeeding women. In fact, a recent study published in the “Journal of American Dietetic association” on the effects of vegetables, like cauliflower, cabbage and broccoli, showed a correlation between the maternal ingestion of these foods and colic in infants (11). However, if the baby has colic or a lot of gas, the doctor may suggest eliminating certain foods from your diet but lettuce and spinach won’t be on the list. Dairy products are the most common source of digestive woes in infants, which can cause allergy symptoms and digestive upsets. You should eat cooked spinach rather than eating it in raw form because of food-borne allergies. Blanching (a thorough boiling process) the spinach in boiling water will thoroughly purify it and kill any pathogens present in it. Adding garlic to your diet boosts the overall milk supply. Nursing mothers have used garlic for centuries. There are many benefits of using garlic like it enhances the production of breast milk and its ingredients boost the health of both the woman and the baby. It is also quite helpful in the digestion process of lactating mothers. It also keeps the digestive tract healthy and helps in getting rid of different issues. It also improves the heart health. 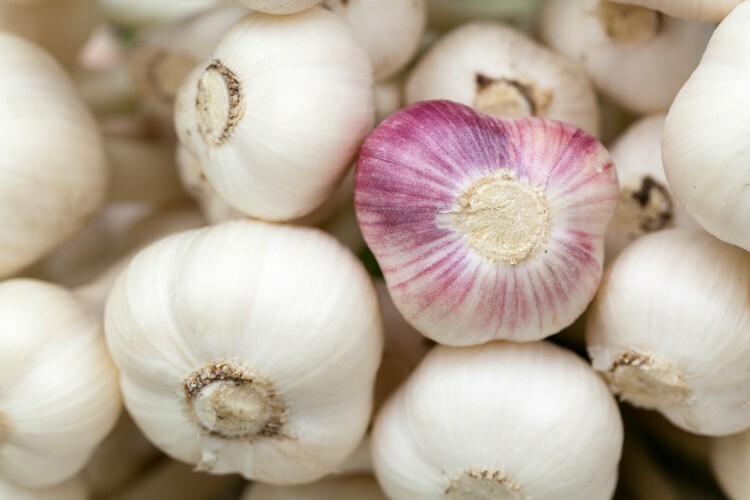 You can easily add garlic into your everyday diet by including it in the foods you eat. You can add it in a variety of dishes, like pasta, vegetables, seafood and meat. However, like everything else, you should eat garlic in moderation. And don’t take high doses of garlic as it is only meant for medical purposes. There is an interesting piece of research where researchers studied the effects of supplementing mother’s diet with garlic and its effects on the nursling’s breastfeeding patterns. Researchers found that the nursling’s of the mother consuming garlic spent significantly more time feeding on their mother’s milk compared to the group not consuming garlic (12). Whether you stew it or toss it in a hot salad, the herb of fennel is believed to be an excellent galactagogue. However, if you don’t like black licorice or anise, you shouldn’t take this herb. The main thing which makes fennel so special is that it has estrogen-like properties and it is said to be an herbal treatment which can increase breast milk. There has also been some research suggesting that mothers consuming fennel tea had fewer episodes of colic in their babies (13). You can easily add fennel in your diet by drinking fennel tea or using it as a spice to flavor different foods. Fennel enters the breast milk but is considered safe for the woman and baby. It can also be taken in combination with many other herbs, like alfalfa, nettles, blessed thistle and fenugreek to increase the overall effect. Green papaya is quite a popular galactagogue across the whole of Asia. It is a superfood known for boosting the quantity and quality of breast milk. So, it is a must eat food for lactating moms. The consumption of green papaya increases the production oxytocin hormone in the body which is popular for boosting the production of breast milk (14). So, in this way, it increases the milk flow. You can easily prepare a bowl of refreshing papaya salad. You can also add hot peppers, garlic and lime juice to enhance the flavor. It is a good and healthy option for snacking. You can also consume green papaya with other vegetables in the stir-fried or stew form. This food is a good way to satisfy your hunger pangs, so you should definitely include it in your diet. Sesame seeds are quite delicious and you might have eaten a burger on sesame seed bun, but the truth is that you need more than this quantity to boost your milk. They are quite high in calcium and polyunsaturated foods which make them quite nutritious. They have been used by many families for years to boost breast milk. Sesame seeds can be used to form a sesame seed smoothie. For this, you can get sesame seeds in any form, rather be raw, unshelled or organic. The milk for the smoothie is also your own choice. You can either take water, soy milk, cow milk or even goat milk. The sweetener can either be honey, sugar or stevia. Now take all this mixture and blend it together in a blender. The smoothie is now ready to be eaten. Carrots are quite beneficial for breastfeeding. They are full of beta-carotene which is an extra demand when a person is lactating (15). They are a good source of carbohydrates and also boost your potassium levels. Eating a carrot is also a healthy way to make the baby lose extra weight. However, you should be careful not to eat too much carrot because, although they are a healthy food, allergies to carrot could affect you and your baby. To consume the maximum amount of carrot, peel and slice a bag of carrots and store them in a refrigerator for easy snacking. Do you still have ginger pops left over from your days of morning sickness? Well, they won’t be a problem because ginger is a widely popular milk boosting food. Nursing mothers who have low milk production support the use of ginger for a healthy supply of breast milk. It is a powerful food with a number of health benefits and is quite suited to increase the overall milk production. A research was recently done to find the effect of ginger on the breast milk volume in which women were divided into two groups; 30 women ate ginger and about 33 were from the placebo group (3). The results of the study proved that ginger is quite beneficial in improving breast milk. One of the simpler techniques to add ginger in your diet is to boil fresh ginger root and make some herbal tea. You should cut about three to five slices of ginger, steep it into hot water and then pour into a mug. Alternatively, it can be added into a variety of side dishes. Well, if you don’t like yogurt, here is a motivation for you. It’s quite helpful for breastfeeding. So, you should stock your fridge with plenty of yogurt because its cream has got both protein and calcium. It also has some delicious flavors in it. However, you should give up all the dairy products if your baby is diagnosed with milk protein intolerance. Signs that your baby might be suffering from milk intolerance include bloody stools, rashes, coughing, wheezing and diarrhea. Research has proved that the probiotic content of the breastmilk largely depends on the nutritional intake of the mother. The children of the mothers eating a probiotic rich diet, like yogurt, have higher levels of probiotic bacteria in their stool (16). There are a number of different ways to add ginger in your diet. You can make a smoothie, mix yogurt with apples and yogurt, replace the sour cream with yogurt in your recipes; you can also use yogurt in different salad dressings. Oranges are both portable and nutritious and a great way to boost energy for new moms. Nursing moms require more Vitamin C than pregnant women, which makes oranges and citrus fruits excellent breastfeeding foods. Oranges also absorb more iron from food. So breastfeeding mothers should eat oranges. Many credible websites claim that orange juice is quite beneficial for breastfeeding mothers (4, 20). However, eating oranges and drinking orange juice can be troublesome at times. 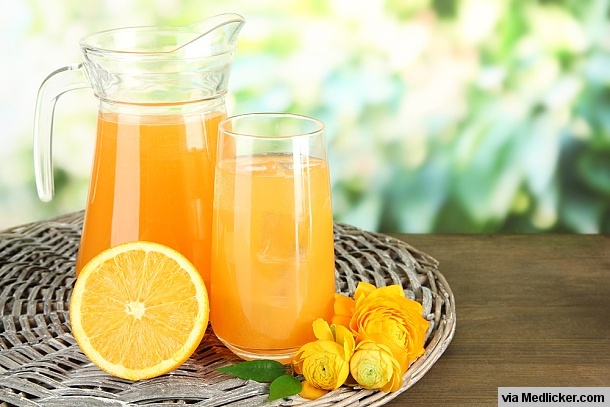 To include oranges in your diet, sip on some of them throughout the day. You can also go for calcium-fortified varieties to get more benefit from the beverage. As an alternative, you can also supplement on vitamin C.
Eggs are generally quite beneficial to eat during breastfeeding. 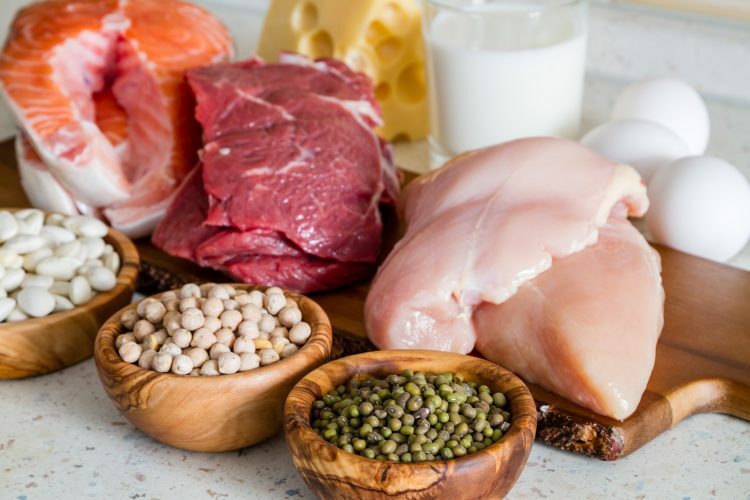 As a matter of fact, they are quite a beneficial source of protein for both you and your baby. So, it’s ok to consume them about two to three times every week. These eggs are packed with vitamins and minerals, including vitamins A, B2 and B12, phosphorous, calcium and zinc. The egg yolk is also a good source of vitamin D, which is quite an essential nutrient to keep the bones strong and help in their growth. Eggs are also quite a versatile way to fulfill your daily nutritious needs. In fact, many credible websites have recommended eggs for breastfeeding mothers (6). So, there is no reason not to include them in your diet. You should eat a couple of eggs during breakfast, a hard-boiled egg for lunch and an omelet for dinner. You can also go for DHA-fortified eggs to increase the levels of essential fatty acids in your breast milk. Beef stew with dumplings is quite a beneficial recipe for breastfeeding mothers as it contains both protein and iron along with vitamin B12, which is quite beneficial for the neurological development (17). The dish takes about 3 hours and 40 minutes to prepare. But it is definitely worth your time. First of all, preheat the oven to about 356 degrees F (180 degrees Celsius). To prepare the beef stew, heat the olive oil and butter and fry the beef until it gets brown on all sides. Sprinkle on the flour and cook for 3 more minutes. Now add garlic and all other vegetables and fry for about 2 minutes. Then put the wine, stock, herbs, and balsamic vinegar for taste. Now season it with salt and pepper. Now cover it with a lid, put it into the oven and cook for another two hours. Now for the dumplings, mix the baking powder, flour and salt in a bowl. Now add suet and enough water to make dough. After that, make the dough into a small bowl with floured hands. When two hours have passed, remove the lid from the stew and place the balls on top of the stew. Now cover it and put it back in the oven for 20 more minutes. Now the dish is ready and it’s time to serve the dish. So, place a spoonful of mashed potatoes on the serving plates and put stew and dumplings on top of it. Now sprinkle it with chopped parsley. The beef and broccoli stir fry is another quite healthy recipe for breastfeeding mothers (18). This dish is quite beneficial for health as it contains beef which has essential proteins, vitamin B12 and iron in it. Plus, the addition of broccoli gives a whole lot more nutrients. This dish only takes 20 minutes to prepare. First of all, mix together sesame oil, soy sauce, ginger and garlic. Put the beef in a ziploc bag and pour about half sauce mixture to coat the beef. After that, marinate it for 20 minutes or cover it overnight in the fridge. Mix together the water and cornstarch and add it to the remaining sauce mixture. Heat the pan on high heat and add 2 teaspoons oil and put beef in it. Cook it for four minutes and then remove the beef. Add the remaining teaspoon of oil to the pan and cook broccoli for about 2 minutes. Put the beef back into the pan. Pour the sauce in middle and cook until the sauce is thick and thoroughly heated. The dish is now ready to eat. Turkey and bean burrito is another good dish for breastfeeding mothers (19). This dish provides the body with all the essential nutrients, like iron, protein and zinc. It even provides greater nutritional value than fruits and vegetables. First, preheat oven to 425 degrees F (220 degrees Celsius). Heat the pan on a large frying pan over medium flame. Now add the onion and sauté for 4 minutes. After that, add garlic and chili powder and sauté and stir the pan for 1 minute. Now turn the flame to medium high and add Turkey and sauté for 4 minutes. After that, add beans, chicken stock and oregano. Now turn up the heat for about five minutes and after that, remove the heat. Grease a 9 x 13 baking dish. Now divide the filling into six portions and add a small of amount of cheese and avocado. Now roll up the ends. Now place it in a baking dish in the downwards direction. Spoon the salsa over the burritos and sprinkle with cheese and bake it for about 20 to 25 minutes. The dish is now ready. Sprinkle it with chopped cilantro to serve. Q1. What should breastfeeding mothers eat to help relieve a baby colic? Green papaya – Green papaya is a fruit quite beneficial for colic babies. This fruit is commonly fed to Asian breastfeeding moms to relieve colic in babies. Green papaya contains all the important enzymes, minerals and vitamins, including vitamins A, B, C and E. These nutrients are helpful in relieving colic. You should eat the food in raw form. Chamomile – Chamomile has sedative and antispasmodic properties in it which help in relaxation and give relief from intestinal cramping. To add chamomile in your diet, you can make chamomile tea. For this purpose, take chamomile flowers and place them in a cup. Now add water and boil it for five minutes. Now strain the tea and enjoy it. Mint – Mint is another food for breastfeeding mothers packed with tons of nutrients. It contains all the essential vitamins, like vitamin A, C, D, E and K, along with important minerals, like calcium, potassium and zinc. Mint has antispasmodic properties which help in relieving colic in babies. You can make mint tea by adding the herb in a cup and boiling it. Q2. What are the best vegan/vegetarian foods for breastfeeding moms? Blueberries – Blueberries have some awesome nutrients and antioxidants to keep you healthy for a long time. They have a lot of benefits for breastfeeding moms, like they can provide a lot of vitamins, like vitamin A and K, calcium and even potassium. You can either add them to smoothies or top yogurt with blueberries. The fact is that they are packed with tons of fiber and antioxidants. So you should definitely eat blueberries. 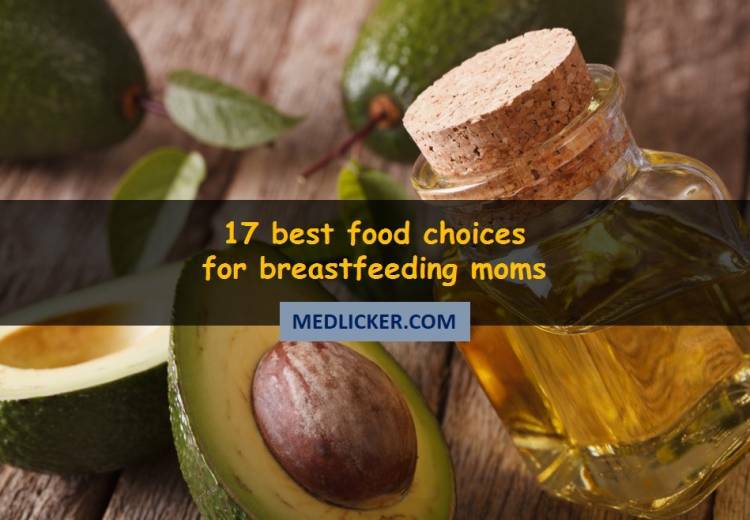 Avocados – Avocados are another food quite beneficial for breastfeeding moms. The main reason is that they are packed with a lot of potassium, about 60% more than bananas. They also have a lot of vitamin C, folic acid and healthy fat in them. So breastfeeding mothers should eat avocados because they are filled with Vitamin B which helps in increasing energy. You should eat avocados raw. Legumes – Legumes, like peas, beans and lentils are quite nutritious foods as they are a good quite a good source of proteins. They have low fat, and are packed with essential nutrients, like magnesium, iron and folate. To add legumes in your diet, you can either cook dried legumes or buy canned legumes. Q3. What are the best foods promoting milk production in lactating moms? There are a number of foods which promote milk production in breastfeeding moms. Fennel – Fennel is a beneficial breastfeeding food which has been considered as a galactogogue (increasing milk production) and many studies have shown its relationship with breastfeeding. This food is found in many supplements and foods for breastfeeding moms and can also be cooked easily. It’s served in roasted form, in vegetable or salads, and can be sliced easily. Fenugreek – Fenugreek is another common herb which is popular as a galactogogue. There is a theory that fenugreek stimulates the sweat production and breast milk is a modified sweat gland. So, it increases the milk production. Most women consuming fenugreek have an increase in milk production in 1 to 3 days. You can intake fenugreek as a tea or in other forms. Cumin seeds – Cumin seeds are popularly known to stimulate the milk production. They also improve digestion and provide relief from bloating, acidity and constipation. They are also a good source of iron and provide strength to mother after the birth of child. You can consume cumin seeds by mixing cumin powder with a teaspoon of sugar. Q4. What are the best Indian foods for breastfeeding moms? There is a possibility that some of the foods listed here so far might not be available throughout the world. Carrots – Carrots have an excess of Vitamin A and beta-carotene which are both beneficial for breastfeeding mothers. Just like spinach, it helps in increasing lactation. It provides the body with energy and improves the overall milk quality. You can either eat carrots in raw form or drink carrot juice. Basil leaves – Basil leaves are rich in Vitamin K and have a calming effect on a person which is essential for lactation. It also improves the bowel movements and helps in maintaining a good appetite. It also improves the milk supply. You can either boil it in hot water or add a few leaves in tea. Drink fresh milk – Breastfeeding mothers in India should also drink milk. However, you should take care that the milk is always fresh. The fresh milk can easily be extracted from buffaloes, goat and cows. Always avoid packaged milk because it destroys all the natural nutrients of the milk. They do more harm than good. Nursing mothers should carefully select the foods they eat as it directly affects health of their children. 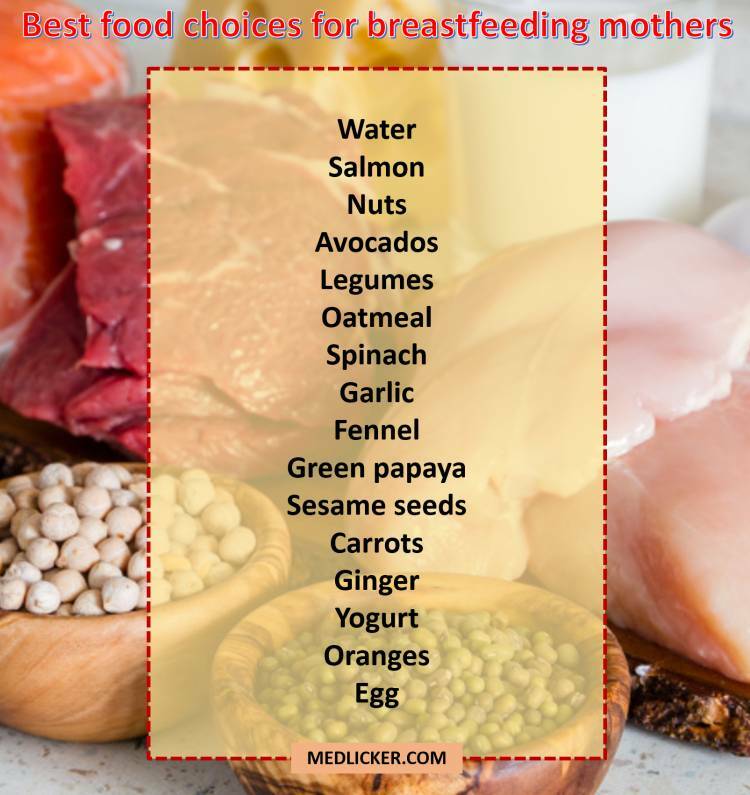 Some of the best foods to eat while breastfeeding include water, salmon, nuts, avocados, legumes, oatmeal, spinach, garlic, fennel, green papaya, sesame seeds, carrots, ginger, yogurt, oranges and eggs. It is essential to follow a variable and healthy diet, which will help your body make nutritious milk for your child.